All charitable tax-deductible donations can be sent to our office at the address which appears below. Please print and complete this form so that we may properly acknowledge your gift. Habitat Donation Form Make checks payable to: LaPorte County Habitat for Humanity Post Office Box 8874, Michigan City, IN 46361-8874. Consider leaving a lasting legacy through a planned gift to LaPorte County Habitat for Humanity. We suggest that you consult with your financial advisor, attorney, or accountant to consider the best options for you. Contact the executive director at exdir@laportehabitat.org for more information. This can be a very attractive option for an individual looking for ways to support LaPorte County Habitat for Humanity. Double the impact of your contribution! Ask your Human Resources office if they will match your contribution. On your employer’s form, enter LaPorte County Habitat for Humanity as the recipient organization with a Federal Tax identification number (EIN) of 35-1670358. There are a variety of other ways for individuals to make a contribution to LaPorte County Habitat for Humanity. In-Kind Giving – We accept gifts of property, tools, equipment, building materials, services and more. Workplace giving – Sign up for workplace giving campaign at your place of employment and your donation is automatically deducted from your paycheck. 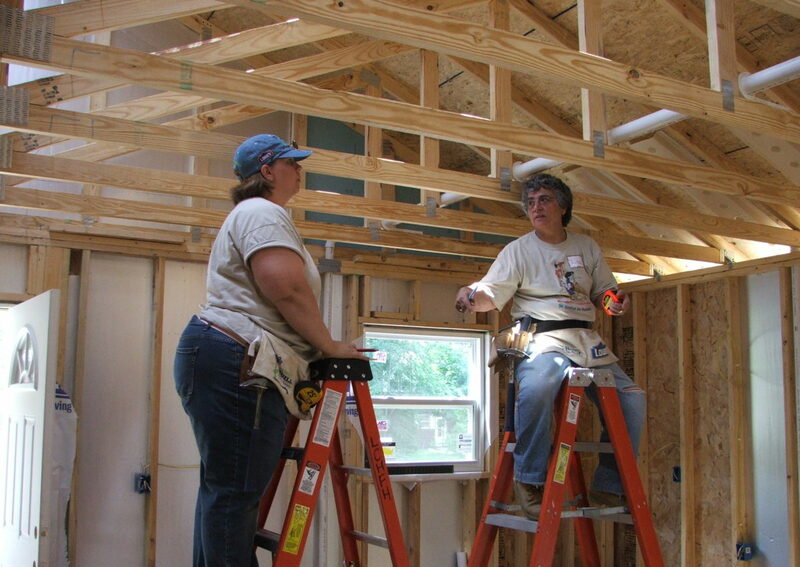 Faith Groups – Faith groups put their faith in action by working with Habitat for Humanity. Store Donations – We accept donations of new, and gently used, building materials and household items that can be resold at our Habitat Stores to support our mission. Visit the website for Cars for Homes vehicle donations! Donate your car, running or not, and the proceeds will help us build homes!